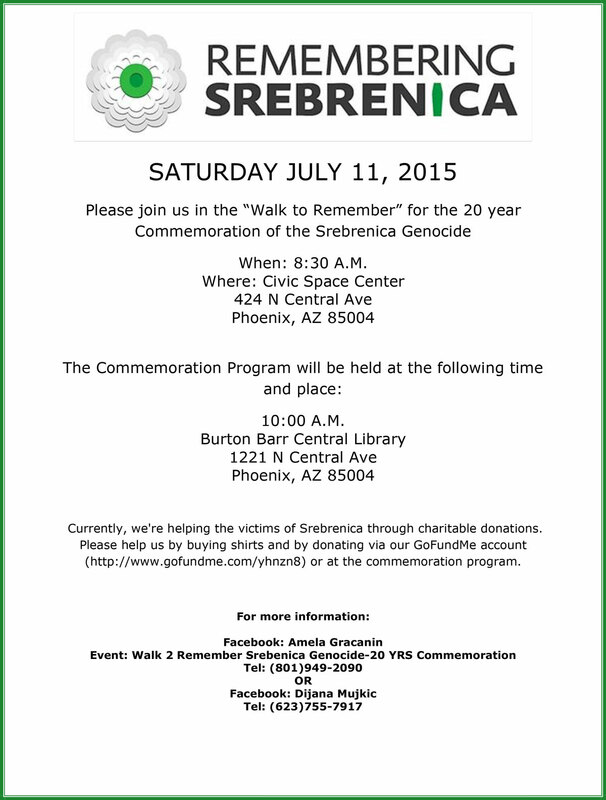 Members of the Bosnian and downtown Phoenix communities will gather at Civic Space Park Saturday to begin a “Walk to Remember” for the 20-year commemoration of the Srebrenica genocide. The event will be the first of its kind in Phoenix, and will highlight some of downtown’s symbolic public art sculptures communicating the event’s message of peace, patience and healing. 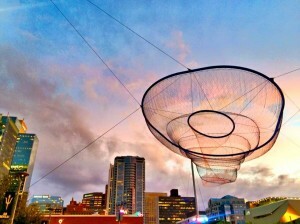 Janet Echelman’s “Her Secret is Patience” in Civic Space Park. 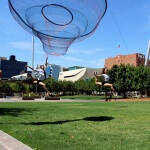 “The walk will begin at Civic Space Park, under the Janet Echelman sculpture, ‘Her Secret is Patience,’” said Suad Mahmuljin, one of the event organizers. An active member of the downtown Phoenix community, Mahmuljin and his family were forced to flee their homeland, Bosnia and Hercegovina some 23 years ago. Echleman’s woven aerial sculpture has become a civic icon, known for it’s subtle fluorescent glow in Phoenix’s dark night sky. 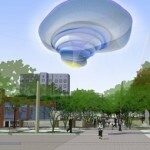 According to Mahmuljin, the billowing structure provides an appropriate starting point for the walk, which will finish at the Burton Barr Central Library. “Patience and healing go hand-in-hand,” he said. 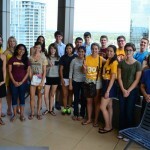 While the “Walk to Remember” could be held anywhere within the community, Mahmuljin chose downtown Phoenix for its unique context. Another such expression is made from 8.5 tons of metal and required a great deal of patience to fund. “Release the Fear,” which serves as the second stop along the walk, is a sculpture by local Phoenix artist Robert Miley. 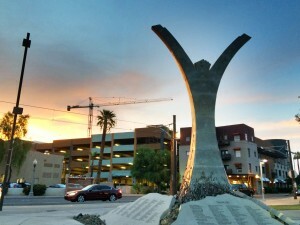 According to the sculpture’s inscription, it is comprised of 8,000 pounds of weapons used in violent acts throughout Arizona and it took 10 years to source funding for the project. “‘Release the Fear’ speaks to gun violence and how it harms our community,” Majmuljin said. 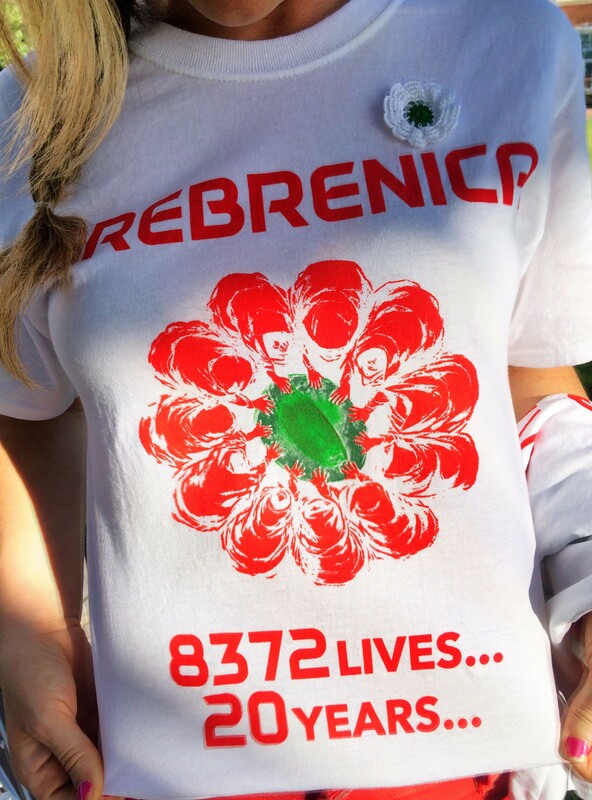 With more than 8,000 people put to death over a three-day period in Srebrenica starting July 11, 1995, Amela Gračanin, one of the original event organizers wants people to learn from this tragedy. Mahmuljin and Gračanin are not alone in their mission to encourage awareness through peace, patience and remembrance. Author, psychiatrist and concentration camp survivor, Esad Boškailo, is the event’s keynote speaker. For Boškailo, his involvement with this historic event goes beyond obligation. 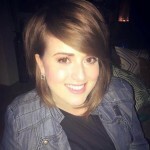 As well as practicing psychiatry, Boškailo is also an associate professor of psychiatry at the University of Arizona. After surviving six concentration camps, Boškailo has experienced the depths of loss and tragedy and wants to give back. “I feel that it’s time for me to give back to society,” Boškailo said. “I came from a place where everyone took everything away,” said Boškailo who lost almost everything, including his house. Many of his friends and family members were killed. “I lost my best friend, my cousin, my aunt,” he said. 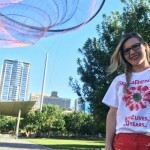 Event organizers emphasize that everyone in the wider Phoenix community is invited to join the historic “Walk to Remember.” Commemorative t-shirts will be available to purchase and wear on the day of the event the event. “Walk to Remember” commemorative t-shirt. All proceeds will go to the provision of basic necessities for families of Bosnia and Hercegovina. Boškailo’s own organization, the Bosnian-Herzegovinian American Academy of Arts and Sciences is helping to make this possible. People may also make donations through the event’s GoFundMe page. It’s interesting to have this event of reflection, meditation, inclusion, and remembrance on the same day as an event whose speakers have said that we must be afraid of strangers within our midst.